"One man against a cruel system." The movie Brubaker is based on real life facts surrounding a prison in Arkansas that was over run with violence and corruption in the late 1960s. Henry Brubaker arrives as a new inmate in disguise so that he can personally witness the conditions inside of the prison prior to disclosing his position as the new warden. After witnessing disgusting conditions, violence, and corruption, he announces to prison officials and prisoners alike that he is the new warden. 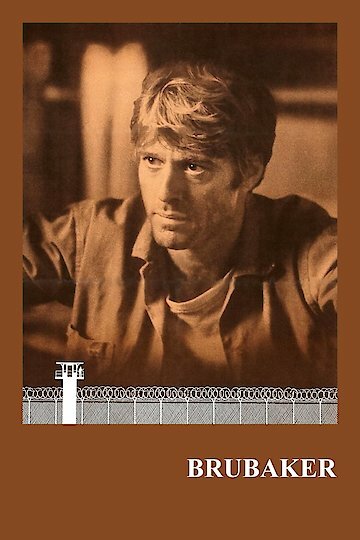 The movie then covers Brubaker's attempts to clean up the prison, and the resistance he encounters. Political scandal and mystery abound. Brubaker is currently available to watch and stream, download, buy on demand at Starz, Amazon, Vudu, Google Play, iTunes, YouTube VOD online.